Connectwell Angular Ground / Earth Terminal Blocks AGT2.5, Price In India. 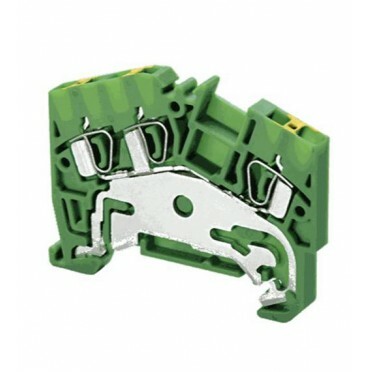 Angular Multiple Connection Spring Clamp Terminal Blocks are a reliable solution for problems posed by multiple connections. The terminals eliminate the conventional method of cross connection/looping, saving additional space. Specification:electrical engineering, ground or earth is the reference point in an electrical circui..
Specification:in electrical engineering, ground or earth is the reference p..
Specification:These provide easy connectpoints and ensure perfectcontinuity for distribution. Aprote..
Specification:distribution block are used for single phase distribution systems. These blocks can ei..
Specification:Angular Multiple Connection Spring Clamp Terminal Blocks are a reliable solution for p..